BEIJING, China - Martina Hingis is on top of the world right now - she’s the World No.1 in doubles, and she’s part of the No.1-seeded pair at the China Open in Beijing this week with Chan Yung-Jan.
On top of all of that, Wednesday’s a big day for her - it’s been exactly 23 years since Hingis turned professional on October 4, 1994, making a winning debut on home soil in Zurich, Switzerland. 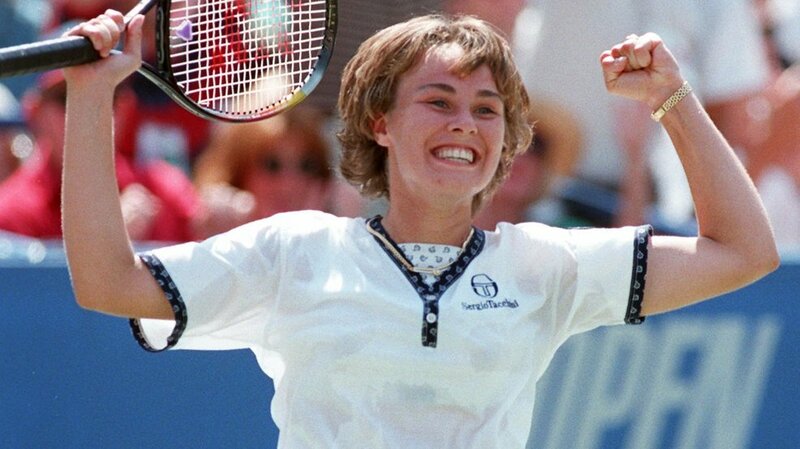 Having just turned 14 years old a few weeks earlier, Hingis already had an impressive junior resume, becoming the youngest player to win a junior Grand Slam title with her win at the 1993 French Open as a 12-year-old, and she followed that with two more majors - and the junior No.1 ranking - in 1994. And on this day in 1994 she finally stepped out into the big leagues, taking out then-World No.45 Patty Fendick in the first round of Zurich, then a Premier-level event, and in straight sets too, 6-4 6-3. “The first time is always difficult, but I didn’t have anything to lose,” a 14-year-old Hingis commented. Her first tournament as a professional ended in the next round to then-World No.5 - and soon-to-be Australian Open champion - Mary Pierce, 6-4 6-0, but Hingis reached back-to-back quarterfinals in her other two WTA events in the fall at Filderstadt and Essen, broke the Top 20 in 1995, the Top 10 in 1996 and, of course, made it all the way to World No.1 in an absolute breakthrough 1997 season. Then there’s the majors. Hingis has won 25 majors in her 23 years as a pro: five in singles , 13 in doubles and seven in mixed doubles. The only major she’s missing from any of those disciplines is a French Open in singles - she was a finalist there in 1997 (to Iva Majoli) and 1999 (to Steffi Graf). She’s just the fifth woman in the Open Era to reach 25 Grand Slam titles across all disciplines, after Martina Navratilova (59), Serena Williams (39), Margaret Court (27) and Billie Jean King (25).